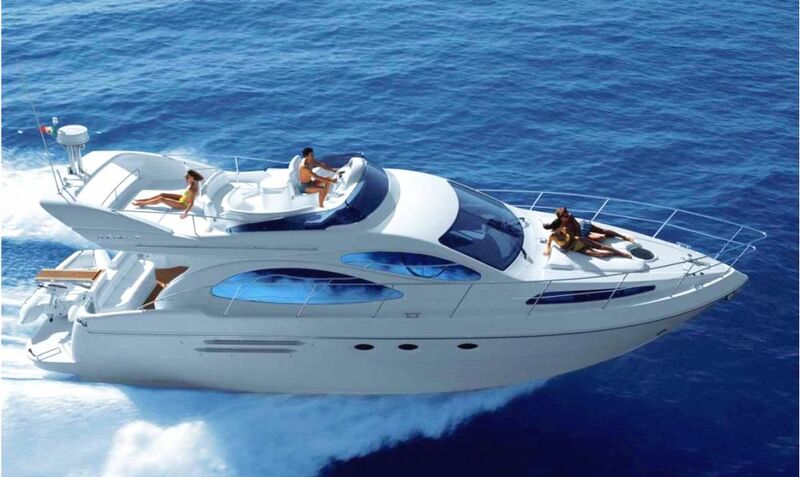 Azimut 46 Flybridge a luxury motor yacht offers to her guests the ultimate experience in luxury and comfort around beautiful Islands in Greece for unforgettable sailing vacations! 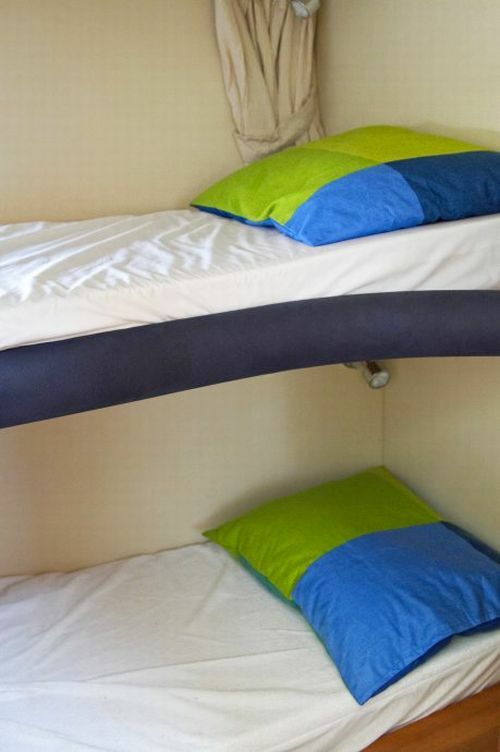 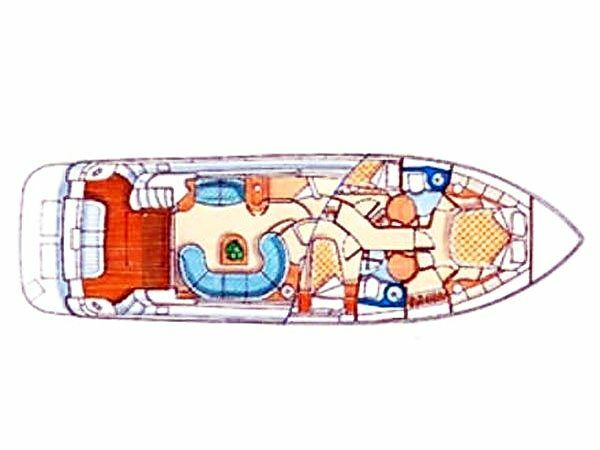 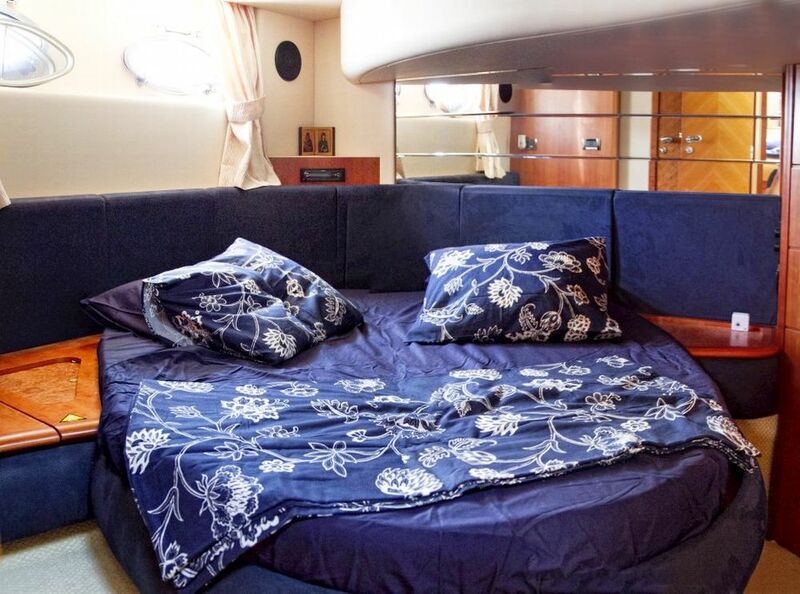 This luxury charter yacht is big on style, extremely spacious and luxurious, and a statement in elegant living impressing all who come aboard for a sailing holiday. 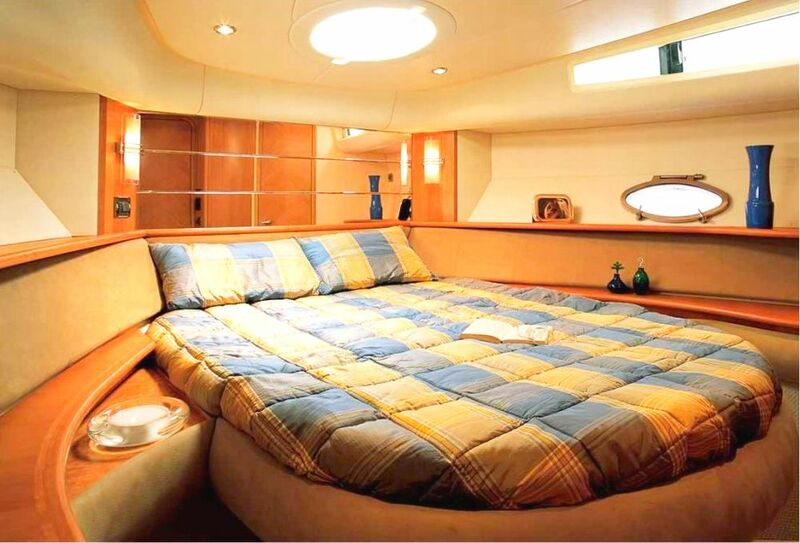 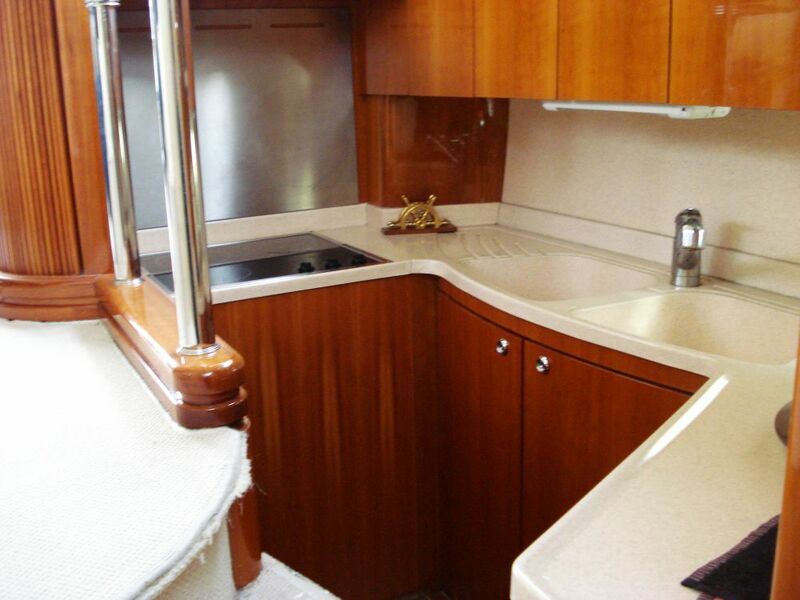 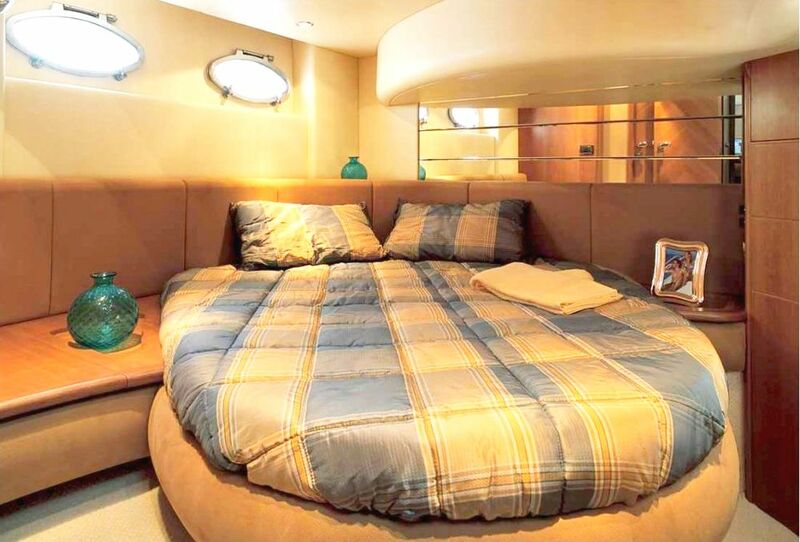 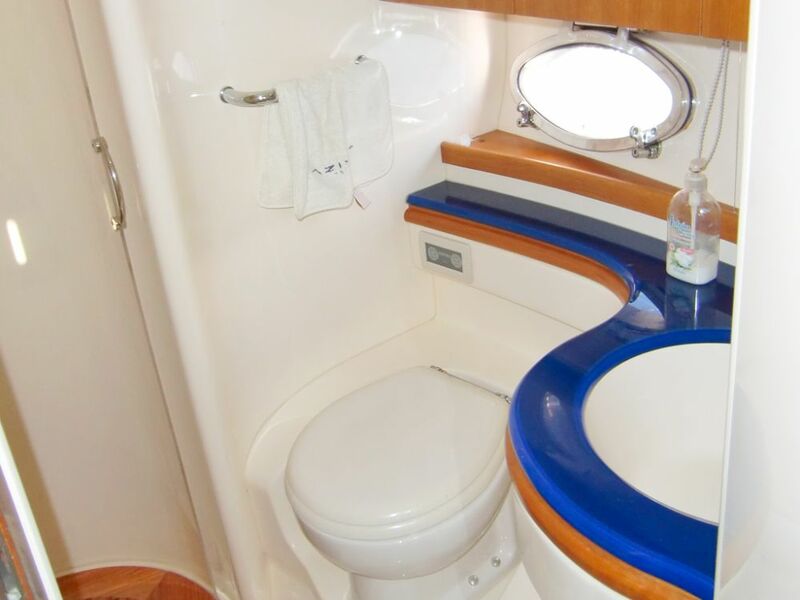 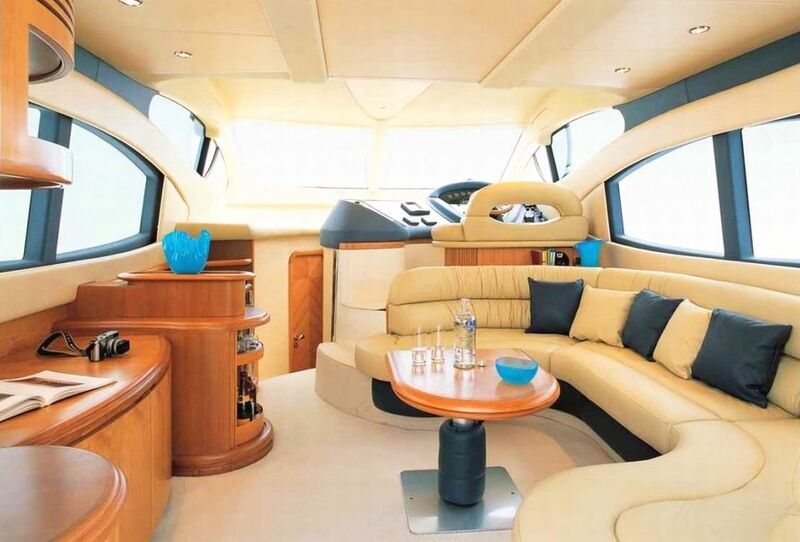 The large fly bridge is the highlight of this motor yacht, easily seating up to 6 guests. 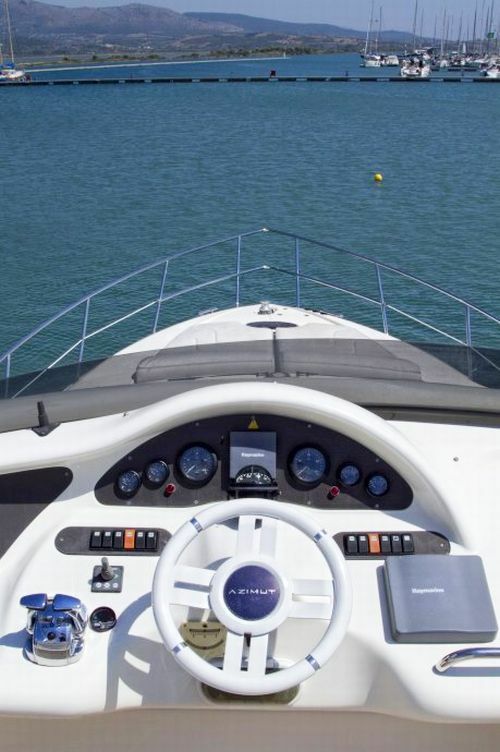 With 2 sunbeds, this is the perfect spot to watch the stunning islands go by on your sailing holiday…Discover the beauties of Greek Islands by charterig Azimut 46 Flybridge the perfect yacht for top destination!